Puerto Rico, Puerto Ricans is a series of search conferences that provide a safe space for the discussion of policy issues and the articulation of community responses to Puerto Rico's economic crisis from the perspective of stateside Puerto Ricans and other stakeholders. Conference programs are designed to balance topics related to the economic, fiscal and unfolding humanitarian crisis in Puerto Rico and to engage the community in a thorough discussion of the impacts of the crisis on stateside Puerto Ricans. Top scholars and leaders come together to explore solutions to the critical problems facing our people. ¡Los de aquí y los de allá! Learn more about the situation in Puerto Rico and it's impact on stateside Puerto Ricans through the presentations and discussions at the conference, events videos and Centro research. Our summits are networking and community-building events. Attendees have the opportunity to meet with community leaders from around the country, exchange ideas about affecting social change for our people, and dream a better future for 8.6 million Puerto Ricans. 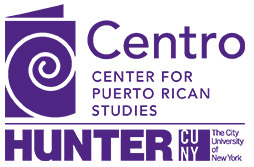 Centro is creating an online community to strengthen the network of stateside Puerto Rican communities. Centro's Puerto Rico Nation connects individuals and organizations across the country who are working to address Puerto Rico’s economic and humanitarian crisis. Learn more about each of these conferences and become part of the movement!